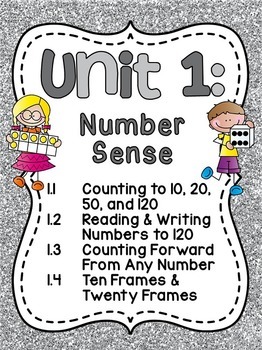 Number Sense fun in this differentiated JAM-PACKED unit filled with 247 pages of everything you need to introduce numbers at the beginning of the first grade year. 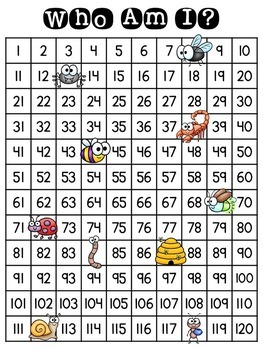 This pack covers 4 main standards/concepts: counting to 120, reading and writing numbers to 120, counting forward from any number and ten frames / twenty frames. The green "Preview" button will show you the table of contents for the unit to give you an idea of what is included. In the actual file, you can click on anything in the table of contents to take you there! This is everything you need to print and go to teach these concepts to a variety of learners - it will save you so much time! Plus, ALL of your students will be learning and having fun at their own level since everything is already differentiated for you! This pack will make planning the beginning of the year a breeze! 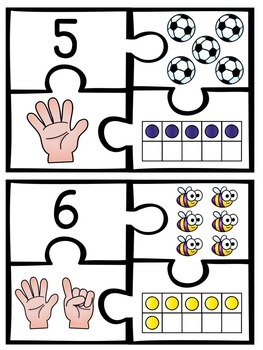 All of the math centers come with guided student friendly directions so that you can use them either as small groups activities or independent math stations. 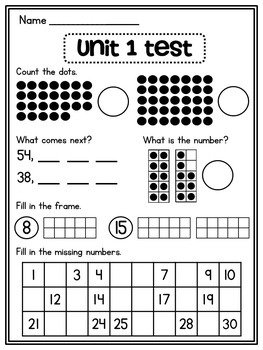 They also come with teacher directions so your stations are easy to set up! This unit is also available in SPANISH: Sentido Númerico!